George Washington University (GW) researcher Narine Sarvazyan, Ph.D., has invented a new organ to help return blood flow from veins lacking functional valves. A rhythmically contracting cuff made of cardiac muscle cells surrounds the vein acting as a 'mini heart' to aid blood flow through venous segments. The cuff can be made using cardiomyocytes derived from the patient's own adult stem cells, eliminating the chance of implant rejection. "We are suggesting, for the first time, to use stem cells to create, rather than just repair damaged organs. We can make a new heart outside of one's own heart, and by placing it in the lower extremities, significantly improve venous blood flow." said Sarvazyan, professor of pharmacology and physiology at the GW School of Medicine and Health Sciences. The novel approach of creating 'mini hearts' may help to solve a chronic widespread disease. Chronic venous insufficiency is one of the most pervasive diseases, particularly in developed countries. Its incidence can reach 20 to 30 percent in people over 50 years of age. It is also responsible for about 2 percent of health care costs in the United States. Furthermore, sluggish venous blood flow is an issue for those with diseases such as diabetes, and for those with paralysis or recovering from surgery. 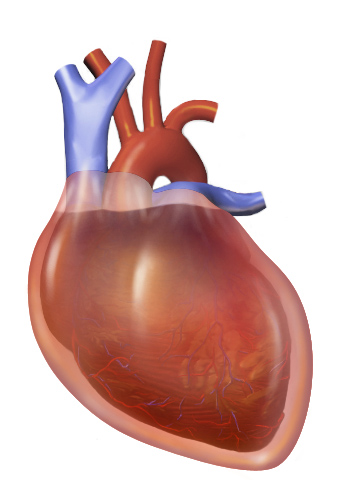 This potential new treatment option, outlined in a recently published paper in theJournal of Cardiovascular Pharmacology and Therapeutics, represents a step forward for the tissue engineering field, advancing from organ repair to organ creation. Sarvazyan, together with members of her team, has demonstrated the feasibility of this novel approach in vitro and is currently working toward testing these devices in vivo.